One of the most complicated situations I have when I am working with a new client which (especially start-ups) is convincing them that they have to make their product attractive possible and/or current customers. When a client approaches me on building a website or running a social media effort they usually have no idea of what they are going to include in their efforts. On practically every occasion they have their mind set on making the effort or website for them instead of making it for there target market. It is a bit difficult to convince them at the beginning of doing the opposite. It takes time to educate a possible client in creating an effort that is attractive to them and not to the public they want to reach. The other day I read Nobody cares about your products by @dmscott. (author of Real-Time Marketing and PR: How to Instantly Engage Your Market, Connect with Customers, and Create Products that Grow Your Business Now ). It really made it very clear for me to understand that unless you care about your clients in a genuine way the possibility is they won’t care about you. So start caring about clients, creating relationships, and stop broadcasting your brand. How will you focus on your clients needs? What type of content would be more relevant to your clients and community? Reading the blog of one of my favorite tweeps @karimacatherine I bumped into a good analogy on project management and business types. 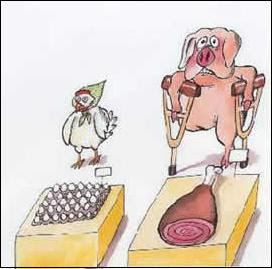 She related Chickens with Pigs and makes an explanation on how both types are described and the individual characteristics of each. I was able to identify with both although I am working more toward being the second. It has been approximately two years since I started my own business CIMA IT Solutions , since then the equity I have gained has been mostly on the knowledge side no the economical side. I have to be very grateful that 2010 started out great and headed towards right direction. 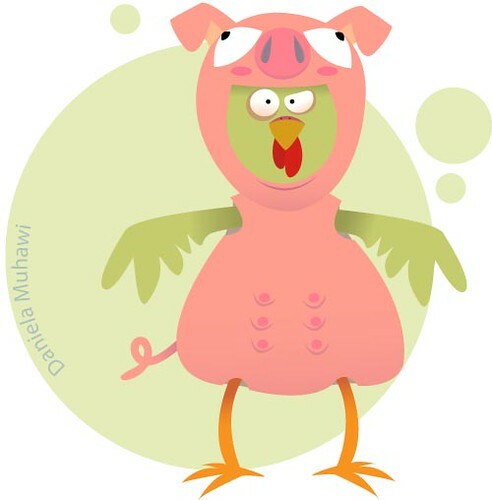 A few weeks ago I realized that the way I was managing my small business was more on the Pig’s side than the Chicken’s side (please read @karimacatherine’s blog post to understand the analogy). Although I see it very difficult to be a chicken being a small business owner I think that is the objective of most of us becoming a chicken. Making sure that everything is working correctly by adequately mitigating risk and reaping results and not being exposed to disaster. What are your opinions and your approach on @karimacatherine blog post? If you find her post interesting I recommend you following her on twitter @karimacatherine.